The latest recording of The Art of Fugue quickly convinces you that a seemingly bizarre enterprise is a worth-while one. József Eötvös (b.1962, Pécs, Hungary) is clearly an exceptional guitarist. He established guitar departments in Pécs and at the Liszt Ferenc Music Academy in Budapest, and is the artistic director of the international Guitar Festival of Esztergom, Hungary. His speciality is extension of the guitar repertoire, with arrangements of Chopin, Brahms and, particularly, J S Bach. In Eötvös's experience, most guitarists he has encountered want to listen only to guitar pieces, and other musicians and musical people want to hear piano music only in its original form. 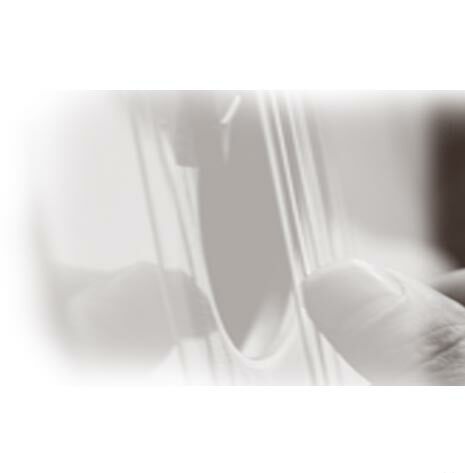 His mission is to provide different repertoire for guitarists and for other people "a new colour for well known music". Eötvös's transcription for the guitar of the Goldberg Variations - "taxing for any performer using two manuals extensively - the guitar version involves additional hardships", he writes - is true to the score, lucid in exposition of the successive variations, but ultimately less interesting for a general listener than The Art of Fugue. That is a real tour de force, and an amazing realisation of an extraordinary conception. He does not attempt the completely impossible; instead he has arranged the Henle edition for two guitars, tuned differently to encompass the full range of a work originally for harpsichord, but also abstract and suitable for other arrangements, which often help to clarify the part writing.